Satellite view is showing Austria, the landlocked country in central Europe. 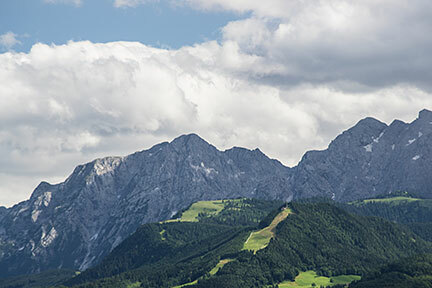 Austria's landscape is mostly dominated in the west and south by mountains (the Alps), the Central Eastern Alps, the Northern Limestone Alps and the Southern Limestone Alps are all partly in Austria. Austrian Alps, mountains dominate the landscape of the nation. The country has a population of about 8.6 million people (2015). Official language is German. Austria is since 1994 a member country of the European Union. Border countries are: Czech Republic, Germany, Hungary, Italy, Liechtenstein, Slovakia, Slovenia, and Switzerland. (Wien, satellite view and map), states capitals, major cities, expressways and main roads. Google Maps: Searchable map/satellite view of Republic of Austria.